In exactly 15 days, I'll be back to Hong Kong! Yippie~ I miss my 二叔公(grand uncle) and my 二叔婆(grand aunt). I have not seen them for 5 years... My grand uncle is my late grandfather's younger brother, mother's side. He wrote a book too, on how to draw a potrait (怎样画人物头像素描), but it still remained unpublished until today. I believe that to get this published is one of his biggest dreams, and how I wish I can help him fulfill that... To get a book published in Hong Kong is not that easy, there are so much complicated stuffs especially on the copyright issues. Is any publisher interested here? Hong Kong, I've been there twice, and in another 15 days, it's gonna be my third. 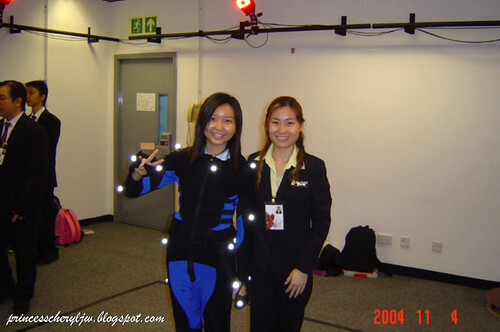 Few days ago I received an email from my ex uni mate on the Advanced Motion Technology used in making the movie AVATAR. Well we've came across this 6 years back during our exchange program in Hong Kong. See the cameras? 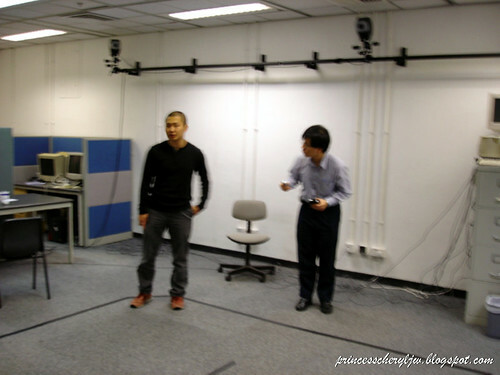 Those are stationery cameras which could record the movements of all actors at once in 3D, with submillimeter precision. 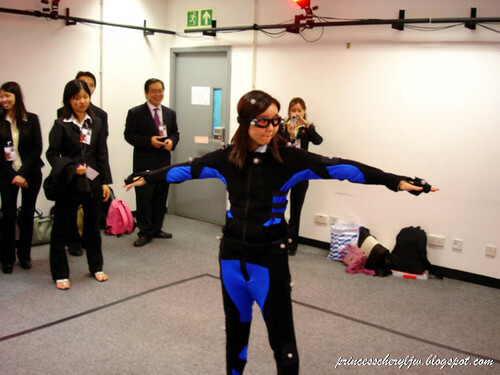 Data from the cameras was streamed into Autodesk software, which translates actors’ movements into digital characters in real time within a low-resolution computer-generated environment. Read this. It's the same like in this photo. Spot the cameras at the back? My friend Chuan tried the suit and did some dance moves. I think I should have recorded a short video clip but I couldn't find it...*sigh*. 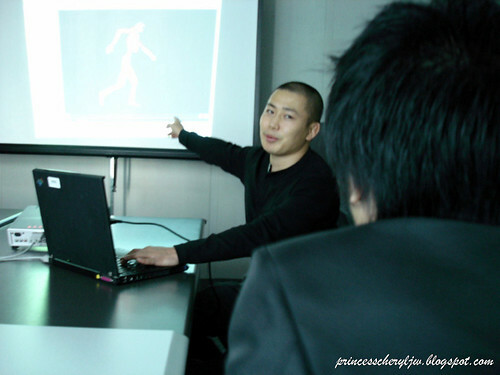 At that time, we could only imagine funny things like replacing the 3D character with a dinosaur and while we're dancing, instead of us appearing on the screen, we see the dinosaur dancing. Those were the days of wonders during schooling time. No regret and I miss you guys, my ESOSSians. ESOSS EXCELLENT! !